We are very excited to introduce this 2017 harvest Purple Varietal Wild Tea Tree Dian Hong black tea from Yunnan Province. It is simply delicious and incredibly unique in the family of black teas, even among those from Yunnan Province or within the Purple Varietal offerings. This is a delicious addition to the ‘tea pantry’ of both a Yunnan tea enthusiast and those who have never tasted a Purple Varietal Yunnan dian hong. This tea was manufactured from several very old varietals of Camellia sinensis – including but not limited to the Ye Sheng varietal – which was identified and named even before the Assamica variety in eastern Assam, India. This natural, local, indigenous blended manufacture represents both the sense of terroir that we celebrate in the variety of tea bushes plucked during the tea harvests in Yunnan Province, and also the skill of Bob’s tea blending skill and art in combining several growths of the Purple Varietals from different sub-regions and unique cultivars – all historically important to the dian hong of Yunnan Province. 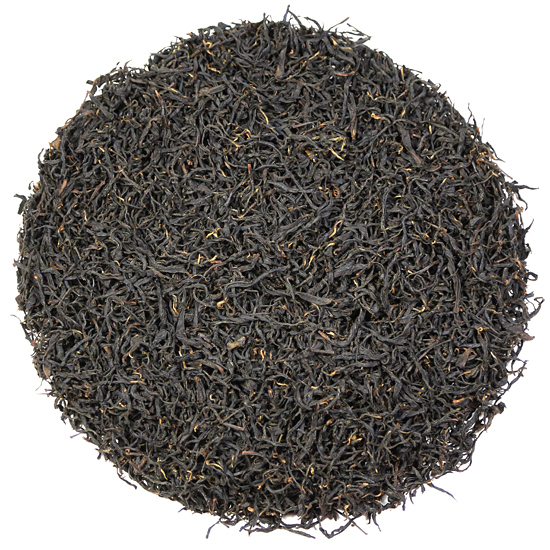 Similar to the goals sought when blending different leaf for Pu-erh, when combining several unique teas together to create a particular taste in a blend of exceptional Purple Varietal black teas, Bob combined three special Purple Varietal sourcings in a challenging but rewarding process. Grown from 1500 – 2500 meters in altitude, the core teas come from hearty trees that reflect the terroir of the forest habitat in Yunnan Province. The base leaf is comprised of two very different plucks, from several different regions within Dehong Prefecture in Yunnan Province. This combination is augmented with a quantity of 100% bud-set that is quite rare and unusual. 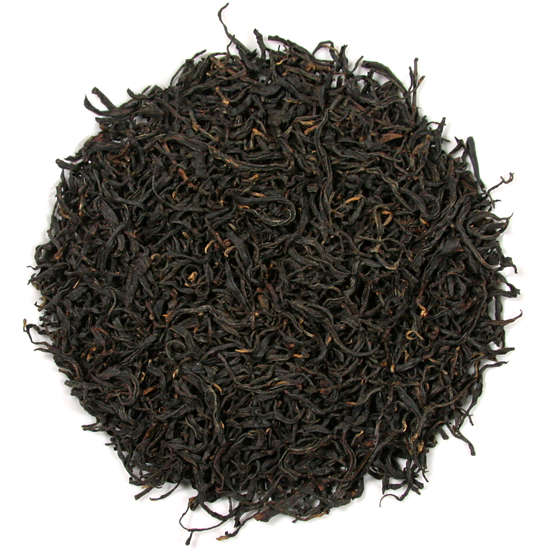 The large leaf base teas show an open, gentle twist. The color is predominately brown and cordovan with an edging of the rich, dark reddish stain that is unique to the Purple Varietal cultivar, and is reminiscent of the color of burgundy wine in the glass. The wet leaf shows a similar profile, however the leaf takes on a dull hue (with a soft glisten from the absorption of water). 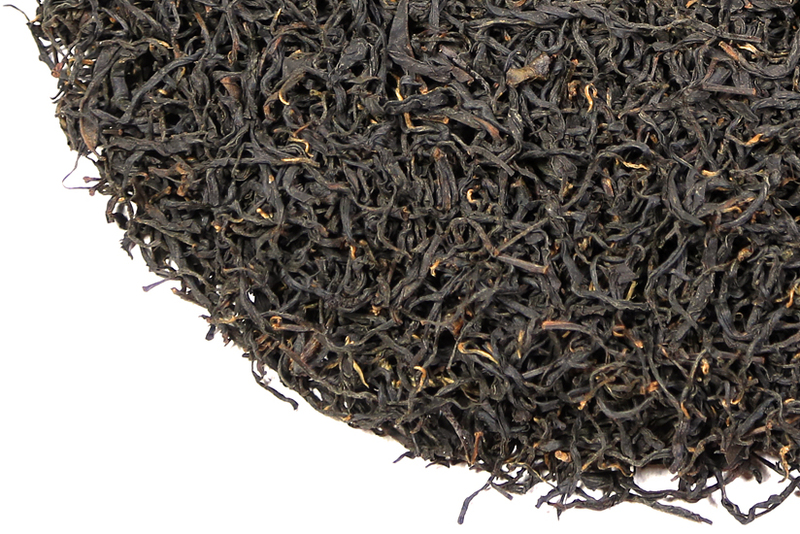 The aroma of the dry leaf is reminiscent of a well-made yan cha from the Wu Yi Shan in Fujian Province. What that tells us is that despite geographic distances, these old-varietal tea bushes appear to have shared characteristics and complexities. Further, they share a richness and vigor that have been bred out of today’s commercial tea bushes. Part of the reason for the addition of the budsets in this combination is to accentuate this aromatic style. There is complexity to spare in the aromatic quality of this tea: the allure of the earth-floor combines with mushroom and clean, dry moss to gently tease the palate. After the leaf is steeped, the aroma adjusts and clarifies, bringing in the softly spicy notes found in the yan cha Rou Gui – the aroma that tea enthusiasts call “tea cinnamon”. This is a dry, slightly minty ‘returning flavor’ that is quite pleasant as it lingers on the palate. It is this ‘dry’ component of flavor that we find particularly enticing in the Purple Varietals, and a significant reason why these teas are so unique. This is an extremely unusual tea. Following considerable tasting, TeaTrekker contracted for several very specific, premium-quality plucks of this year’s Purple Varietal tea. We are the only source for this particular selection due to the fact that we blend it here in the store and do not wholesale our tea. It will improve with age for many months and should drink well through 2022.